You can check out your lists here, and lemme know if you have any questions or run into any issues! 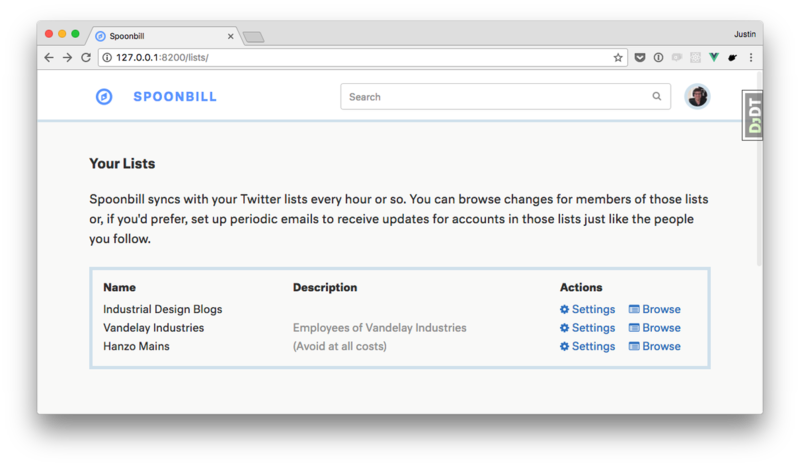 Account pages now parse all previous updates for a user, grab the accounts that are mentioned, and present them as a sidebar item! 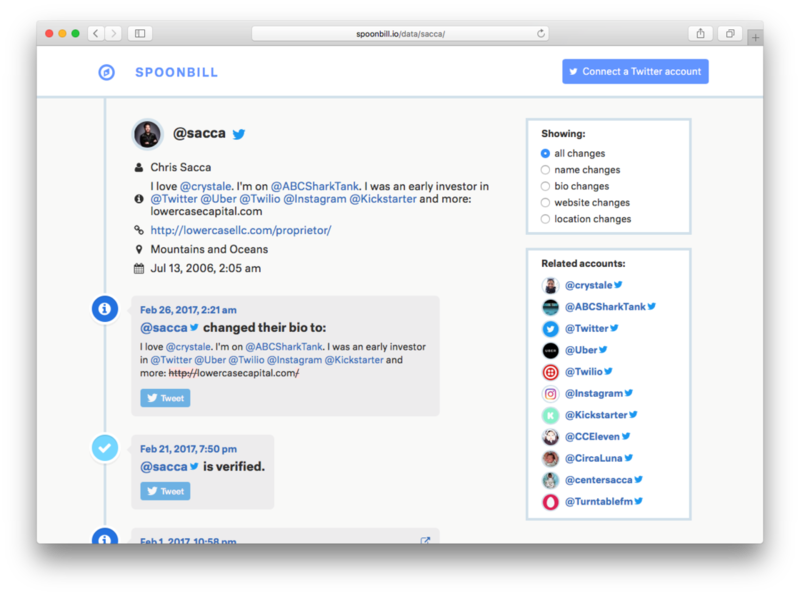 I'm starting a public changelog so you're always up to date with all the updates, improvements and fixes that are made in Spoonbill. I like being transparent about this stuff, and this seems dope. Surely Spoonbill will start publishing changelogs very soon.